Both researchers and research institutions in Texas are prominently represented in the American Cancer Society’s grant announcements for the 2013 fiscal year. The grant money, which totals $79,073,250 for fiscal year 2013, will fund 175 research projects all over United States, several of which are being conducted in Texas. 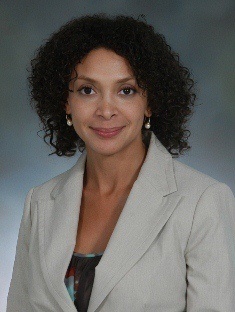 University of Texas Medical Branch, Galveston researcher Eribeth Penaranda, MD will use the American Cancer Society Cancer Control Career Development Award for early detection, screening and management of cervical cancer. She is currently working at developing self screening tools to detect cervical cancer in minorities (Hispanics) by detection of human papilloma virus. University of Texas at Austin researcher Nicholas Marshall, PhD, is currently working at developing a technology to detect a protein, kynurenine, that is inversely associated with cancer prognosis. Higher levels in the body are associated with worst prognosis and Nicholas believed that degrading the protein can improve prognosis. 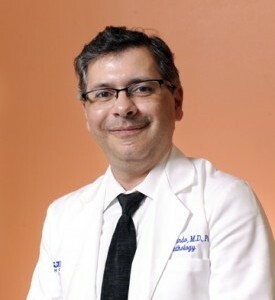 Another researcher from the University of Texas Southwestern Medical Center, Dallas, Rene L. Galindo, MD, Ph D is focusing his research on childhood cancers like rhabdomyosarcoma that are associated with a bad prognosis in young children, and even cancer survivors’ battle with lifelong disfigurement as a result of chemotherapy and surgery. Rene is looking for a model that can convert abnormal genes to normal genes. – John Hopkins University researcher, Stephen J. Meltzer, MD has been awarded the prestigious American Cancer Society Clinical Research Professorship for his notable work on cancer bio-molecules for detection and clinical prognosis of precancerous condition – Barrett’s esophagus. Future work is expected to employ cheap and non- invasive techniques for detection and identification of cancer in risk group. – University of Minnesota-Twin Cities researcher, Timothy C. Hallstrom, PhD, is studying the infantile cancer retinoblastoma and identification of genetic mechanism that control cell death in cancer cells. It is expected that her work may help in devising functional and practical genetic therapies for management or treatment of other cancers like retinoblastoma. – Researcher at Cincinnati Children’s Hospital Medical Center, Tatiana Kalin, MD, PhD is compiling her work in the development of fastest growing cancer in the world, the lung cancer by studying the molecular and genetic role of abundant lug cancer protein, FoxM1. – The Dana-Farber Cancer Institute researcher Alec Kimmelman, MD, PhD is studying a molecular mechanism of pancreatic cancer — the role of protein Chemerin — which is highly resistant to conventional therapies. – Russell Kent Pachynski, MD, at Stanford University is developing immunotherapies for detection, management and treatment of a variety of cancers. – Hongbo Chi, PhD, from St. Jude Children’s Research Hospital is studying the role of T cell growth and differentiation in various cancers, and modulation of activity by proteins like mTOR. Additionally four other institutes were awarded Clinical oncology master training grants for social work to provide psychosocial support to cancer patients and their families.